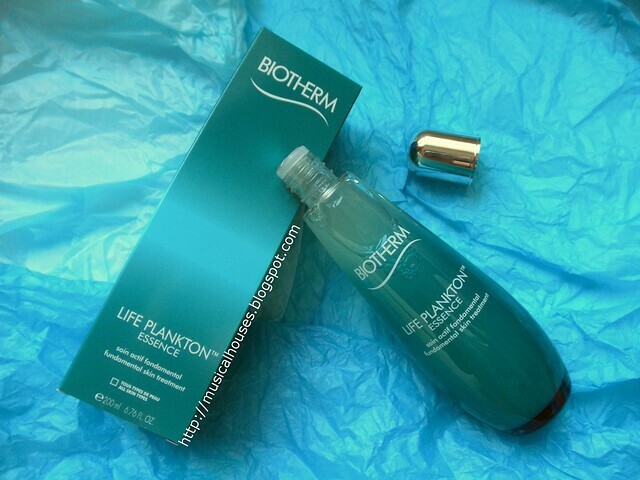 Biotherm's Life Plankton Essence was launched last year, and is billed on the Biotherm website as a "Fundamental Skin Treatment". The description for the product goes on to say, "For the first time, Life Plankton is infused at its highest concentration within Life Plankton Essence (5% for anyone wondering). In 8 days, see and feel a new-born skin: more radiant, more even, smoother, hydrated, with greater resilience and fine lines faded. Immediately, the skin is soothed and softened." So essentially, this is a lotion-style essence product, with a high concentration of Life Plankton. This is meant to be used before other skincare products, like moisturizer. 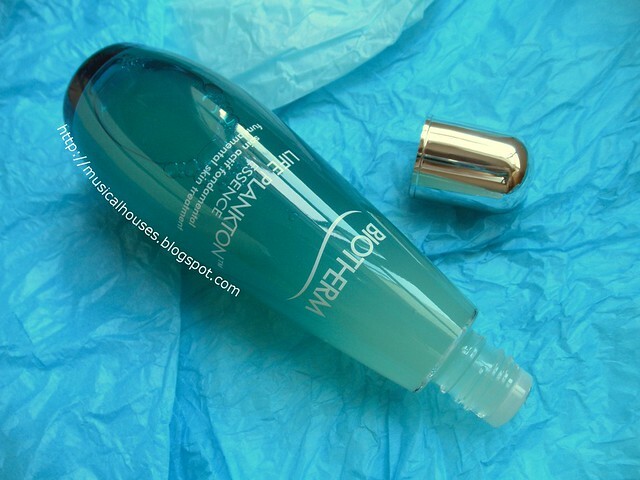 The Biotherm Life Plankton Essence was launched end of last year to much fanfare and raves, and this year has continued to get a steady stream of attention from both mainstream press and bloggers. So I figured it's probably a good time for me to finally get around to reviewing it! How does this product work, and what is inside the product? What is this Life Plankton, anyway? To answer those questions and more, there's only one place to start looking - the ingredients list! Biotherm has also very kindly helped to answer a few of my questions on the product, to fill in some of the gaps and questions I had when analysing the ingredients list, and I'm really happy that they did - I mean, I'm just a random blogger, not Anna Wintour or anything, and I'm sure the PR people have lots on their plate, so I really appreciate it when I get to ask questions and they get answered! For this review though, I've incorporated some of the answers into my review, rather than having them as a separate standalone section, in order to keep the length of the review shorter and the flow less disjointed, but where the information has been provided by Biotherm, you'll see me mention it (e.g. "Biotherm/the company/the brand informed me that" or something similar). So, without further ado, let's jump right into the review! 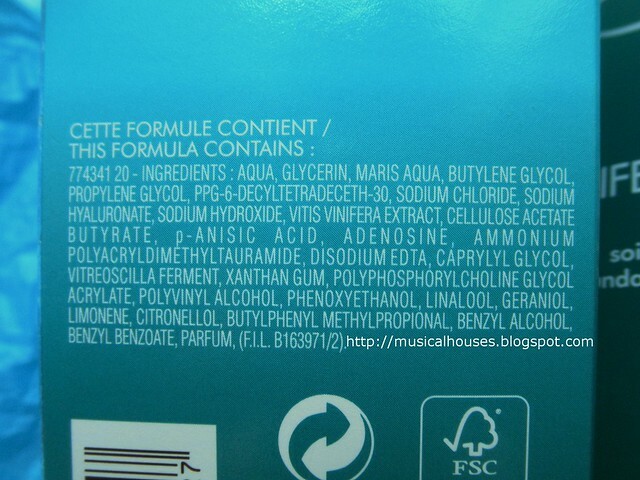 The main ingredients in this are Water, sea water (Maris Aqua, which is one of Biotherm's selling points), humectants (Glycerin, Butylene Glycol, Propylene Glycol), some ingredients with potential skincare benefits, like antioxidant and anti-inflammatory effects (Vitis Vinifera (Grape Seed) Extract, Adenosine) some functional ingredients like emulsifiers, solubilizers, thickeners, pH adjusters, film formers, and the like (PPG-6 Decyltetradeceth-30, Sodium Chloride, Sodium Hydroxide, Cellulose Acetate Butyrate, Ammonium Polyacryldimethyltauramide, Disodium EDTA), and also some fragrance (A-Anisic Acid). So from a look at the first half of the ingredients list, which makes up the bulk of the product, the Life Plankton Essence is formulated to be a lightweight lotion with humectant properties, and also potentially some anti-oxidant and anti-inflammatory benefits too. For those who are concerned with the pH of the product, Biotherm also told me that it was pH5.3, which is well within the range of the skin's natural pH, and always a plus point for me. 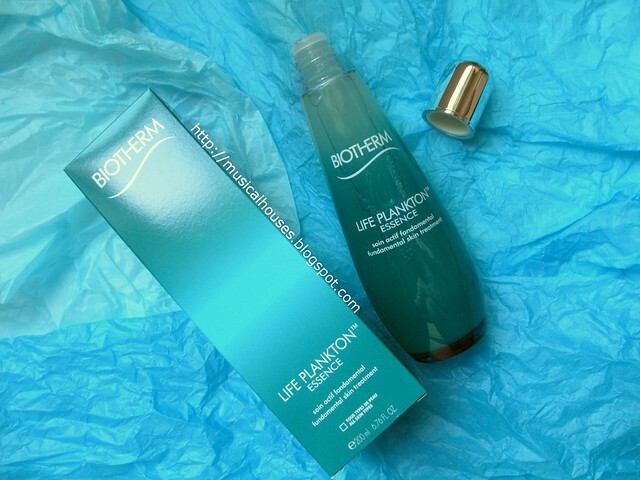 For those wondering where the "Life Plankton" is in the product, I asked Biotherm and they confirmed that it was Vitreoscilla Filiformis Extract. This appears to be the "Vitreoscilla Ferment" which is on the 6th row of the ingredients list. If that seems quite far down the ingredients list, it's because we know that it is at a concentration of 5%, so we wouldn't expect to see it within the top few ingredients. Interestingly, I haven't seen any other skincare products with the same ingredient (except for other L'Oreal Group brands), so the ingredient also appears to be pretty unique to L'Oreal Group's brands. That's a good thing in my book - you're paying for something that's different from the run-of-the-mill lotion. But uniqueness aside, what does the science say about this Vitreoscilla Ferment? Virtually all of the published science that I could find on Vitreoscilla Filiformis Extract - except one paper - was published by L'Oreal, which is the parent company of Biotherm. This is both good and bad - good in the sense that L'Oreal has conducted its own research into the ingredient and is confident enough of its effectiveness to include it in the Life Plankton Essence, but bad in the sense that it would be ideal if there were other non-L'Oreal studies on the ingredient to look at, too. But what we have in the science is pretty promising so far. First up, though, a little background on this Vitreoscilla Filiformisis. Vitreoscilla Filiformis is "a filamentous bacteria living in fresh water", and "belongs to a group of bacterial species that occurs naturally in thermal spa waters...which have been used historically in the management of chronic inflammatory skin diseases". The idea here is that because it is one of the components in this thermal spa water, it "is thought to contribute to the observed beneficial effects of Spa water on skin", thus a skincare product with the bacteria would also have some of these beneficial effects on skin. The published science does seem to indicate that Vitreoscilla Filiformisis does have some skincare benefits. There is a study showing that Vitreoscilla Filiformisis Extract also improves atopic dermatitis skin symptoms, and in a randomized, double-blind study with 13 people, "treatment with the ointment containing 5% V.f. extract significantly improved the AD skin symptoms" after 2 weeks, and increased thereafter, and another study (the non-L'Oreal one) on mice, showing that "topical treatment with Vf significantly reduced atopic dermatitist-like inflammation in NC/Nga mice". There is also a study suggesting that Vitreoscilla Filiformisis Extract has anti-oxidant benefits, with in vitro results suggesting that the Extract "could induce skin cells to produce their own endogenous protective defences in vivo against both exogenous environmental stressors such as UV irradiation or microflora as well as to combat endogenous sources of deleterious free radicals involved in skin ageing", and in vivo results showing that Vitreoscilla Filiformisis Extract "was indeed found to significantly inhibit the appearance of sunburn cells in UVB-exposed areas". So, looking at all the studies, it does seem like Vitreoscilla Filiformisis Extract could potentially have anti-oxidant benefits, and anti-inflammatory benefits, particularly for atopic dermatitis skin symptoms. In that sense, it probably be a good ingredient to include in an anti-aging product (because it could help to scavenge free radicals), and a product for sensitive skin (because of its anti-inflammatory benefits). I'm also glad to see that a 5% concentration of the product is sufficient for it to be effective in improving skin condition - specifically that of sensitive skin - because that is the concentration of Life Plankton that is in the product. So although 5% might not seem like a huge percentage, in this case, it does seem to be at a concentration that can be beneficial to the skin. Q: Some of my readers may have concerns over the fragrance in the product, as there appear to be various ingredients whose chief function seems to be fragrance (p-anisic acid, linalool, geraniol, limonene, citronellol, parfum). Additionally, some readers may have concerns about citrus extracts and ingredients, because there are some studies indicating that they may potentially be irritating or phototoxic. Although such ingredients usually are present in small amounts, they may still cause concern for some readers. What can you share with us about Life Plankton Essence to address their concerns? A: Life Plankton Essence ingredients were strictly selected and evaluated by expert toxicologists for several endpoints (among which, phototoxicity, sensitization, irritative potential). Obviously, all these ingredients should be considered as safe at their amounts in the final product. Beyond ingredients safety evaluation, absence of sensitization potential of Life Plankton Essence formula was confirmed under control of a dermatologist and its good tolerance was also confirmed by clinical study in real conditions of use (notably by women with a sensitive skin). So from their response, it seems like the ingredients are used at safe levels (and indeed from the ingredients list, they are the last few ingredients), and the product as a whole was found to be effective and tolerated by women with sensitive skin. When I used the product, I found that my skin did feel softer and more moisturized, and I liked that it layers well under other products, without much balling or peeling or other strange behaviour. This was a product that I think I can really incorporate into my everyday routine, because it is easy to use, fuss-free, and effective. 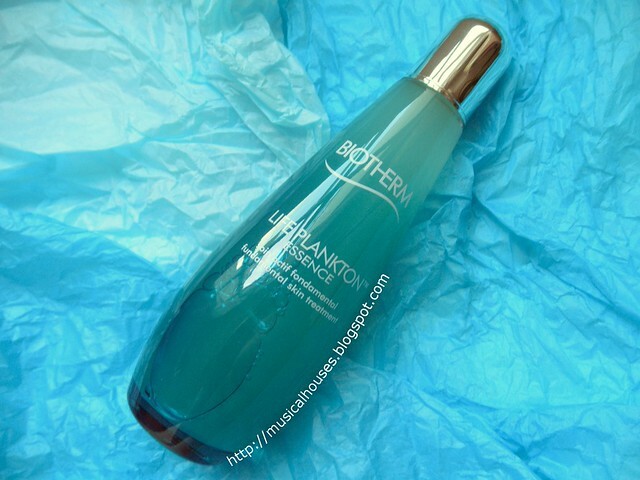 After that pretty exhaustive review, would I recommend the Biotherm Life Plankton Essence? I think I would, if you don't mind the scent, and if you are alright with the fragrance and citrus ingredients (if that's a concern for you, because they are there in small amounts). On the whole, I found this to be a well-formulated lotion, with humectant, anti-oxidant and anti-inflammatory benefits, and a lightweight feel that was easy to incorporate into my routine. I also liked that there was no alcohol (alcohol isn't a dealbreaker for me, but if I have a choice, I usually prefer products with less alcohol in them), and that the advertised ingredient, Life Plankton/Vitreoscilla Ferment, also actually has the skincare benefits advertised, and could also contribute to the anti-inflammatory and anti-oxidant benefits. Although it is on the pricey side (SGD$78 for a 125ml bottle), it's worth checking out if the price within your budget. The Bottom Line: Despite a strong scent and some citrus extracts, Biotherm's Life Plankton Essence is a lightweight lotion with humectant, anti-oxidant, and anti-inflammatory properties, some of which are derived from the namesake Life Plankton (Vitreoscilla Ferment). I bought this last year and tried it for 2 weeks then gave up. My problem with this product is that when i applied and tried to dabbed it into my skin, it took such a long time to actually go inside my skin. However, after that, i could feel that there was a layer sitting on my skin and i feel sticky at the same time. Initially i thought it was just the beginning for my skin to get used to it but i was wrong. After 2 weeks trying to like this product, i gave up and go back to Hada Labo. Since then my skin look flawless with hada labo essence lotion/toner and help me save money too (NP: 59.90). 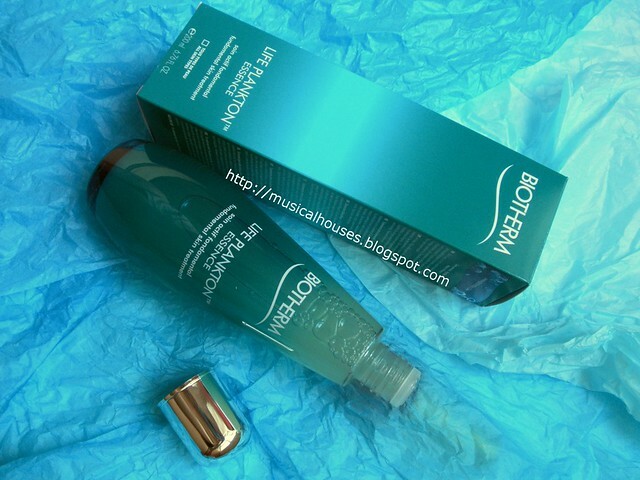 So it is a NO for me this Biotheme AquaLife Plankton Essence. Well, I think this is something worth checking out. Interesting and impressive indeed. @Luw R: The 5% figure is from Biotherm's advertisements. 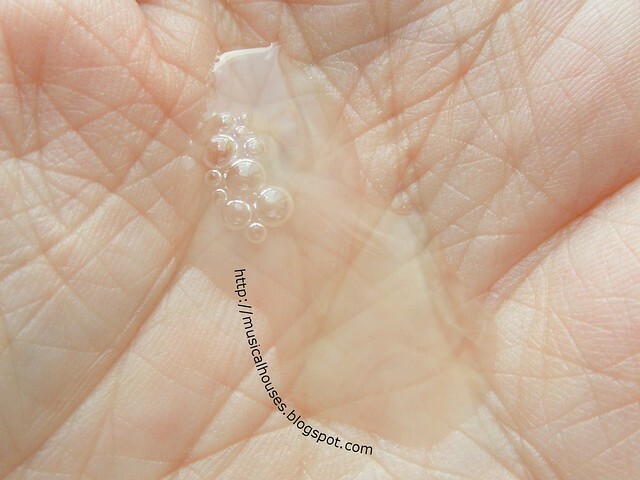 Specifically this site (http://www.biothermsg.com/life_plankton_essence_info/) claims "Each bottle contains 5% Life Plankton. Highest yet of any Biotherm product." But that's a good question you've raised, let me check in and get back to you on that! Just wondering..I have left the essence open in an aircond room for about 7 hours..forgot to close the lid after using it before I went to sleep..can it still be used?the essence works well on me.. I have used this product for a few weeks.really enjoy the way it makes my face feel toned. Removes blemishes etc. Can feel slightly tacky if too much is applied at one time. A very small amount goes a long way. At bedtime a little more can be added. Hope this helps. - Use after cleansing; works especially really well after a micellar water. This will help with the absorption of the product; therefore the product won't feel tacky and will even have a lighter scent. - When applying, massage it onto the skin briefly, only to disperse the product. Then, gently use a rolling pat motion to press the product into the skin. Does this product make you break out? @Shweta Srivastava: It doesn't make me break out, and I don't see any ingredients that look like they will make people break out, but everyone's skin is different. Is this product safe for pregnant women? Hi...just wonder when the expired date for this product?coz i tot is 3yrs but when i open it for the first time,looks like there's a lump of soil n something that doesn't disolve...is it spoilt?do i need to get a refund? @Anonymous: It sounds like your product is indeed spoil or contaminated in se wat, it's definitely not supposed to have lumps or solids in it! Hi...tnks for yr reply...can it be exchange?? @Anonymous: You should probably contact the person/store who sold you the product and ask! They'll be best placed to reply. @Giofany: My guess is that it would be fine, but I don't know anything about it to be honest, and would recommend that you check in with your doctor. Hope this helps!